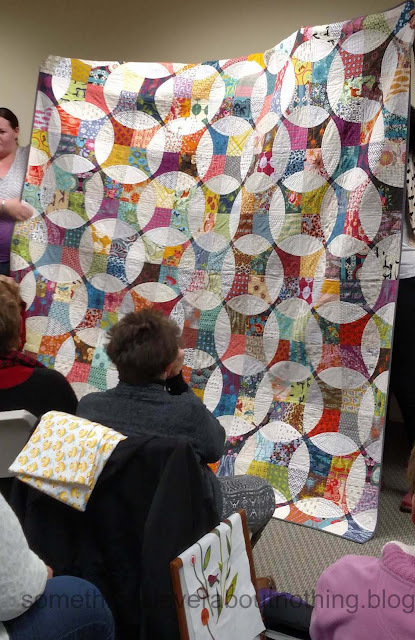 The Salt Lake Modern Quilt Guild presented a fabulous trunk show at the Quilter's Holladay meeting the other night. 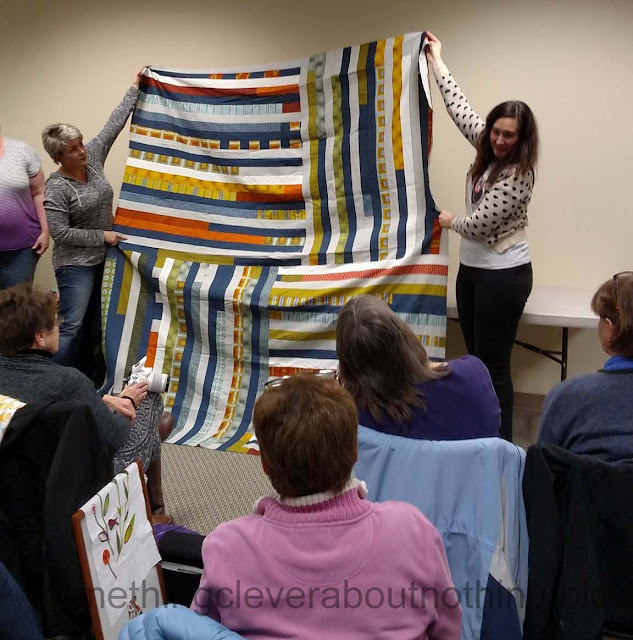 I love Modern Quilts and really enjoyed seeing everything they brought. Modern Quilts are mostly functional quilts with a modern feel to them. They often use bold colors and graphic designs, and lots of negative space, but they can also be traditional quilt patterns which have been greatly enlarged or reduced. Click here for a better definition. I have tried to get everyone's names connected with the correct quilts. Hopefully someone will let me know if I need to make any changes. 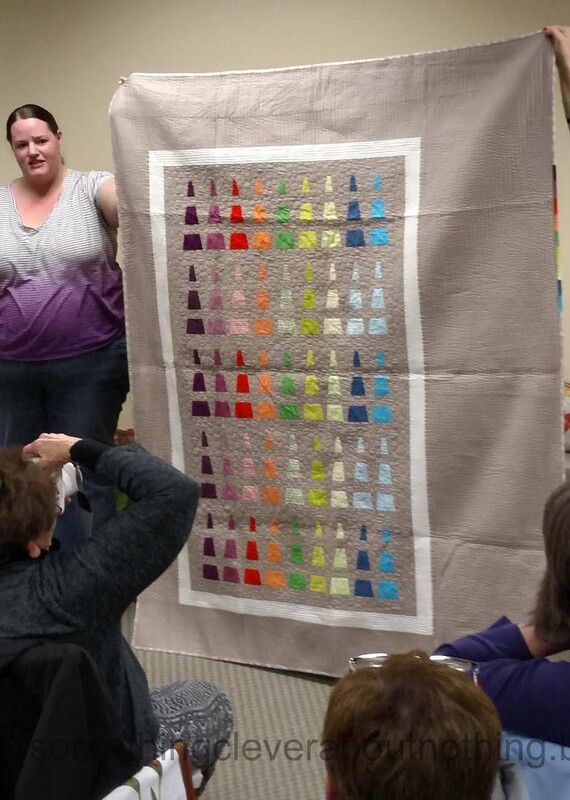 JaNean Frandsen created this quilt for a challenge. The challenge was to use a Dresden plate ruler. 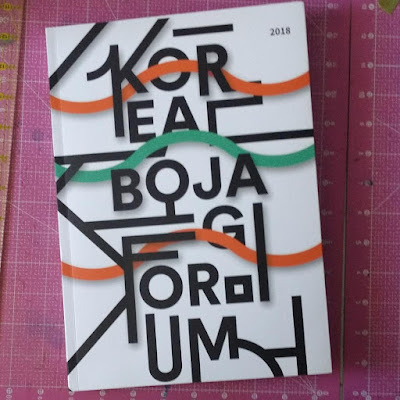 I thought this was a very clever use of the ruler, and a beautiful design. 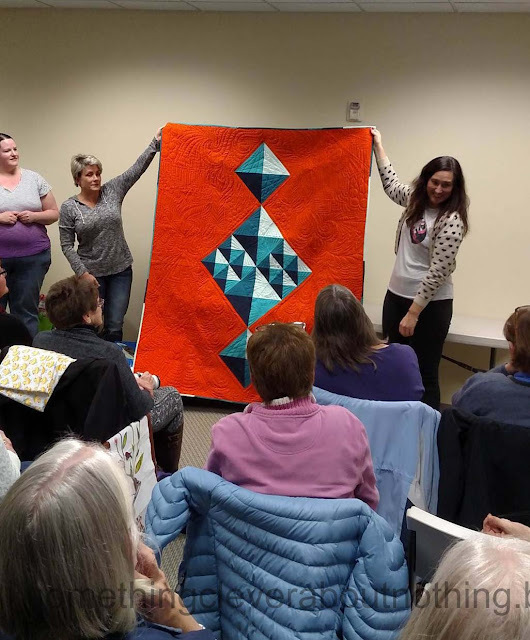 Some members of Quilters Holladay put together a few charity strip quilts last year and they were commenting that none of their strip quilts looked as good as Christine Ricks' beautiful quilt top. I love her combination of color and how the strips go in different directions. I hope to see it after it is quilted. Another lovely quilt made by Christine Ricks. I really like the striking red with the calming blues and whites. The quilt was Graffiti quilted by Karlee Porter. 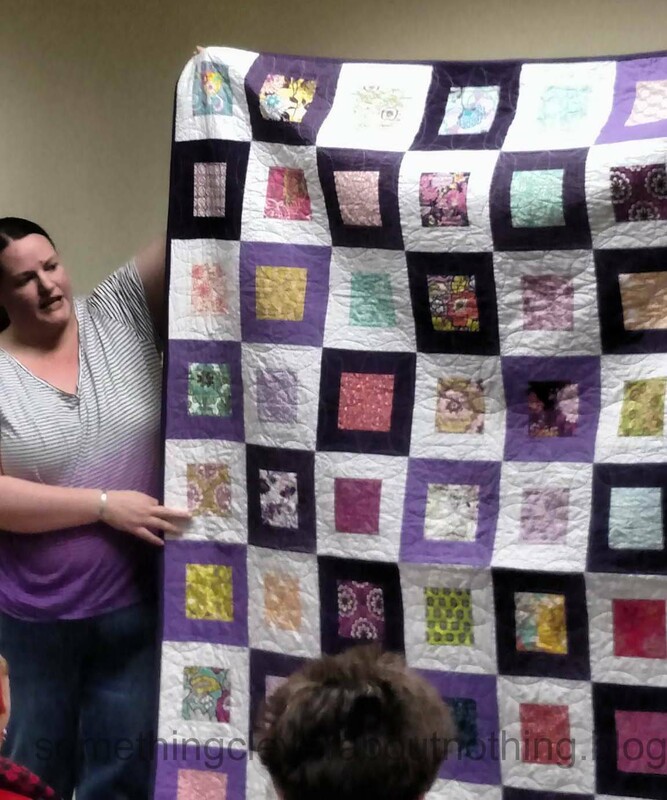 This was another challenge quilt, this one created by Sarah Oviatt. 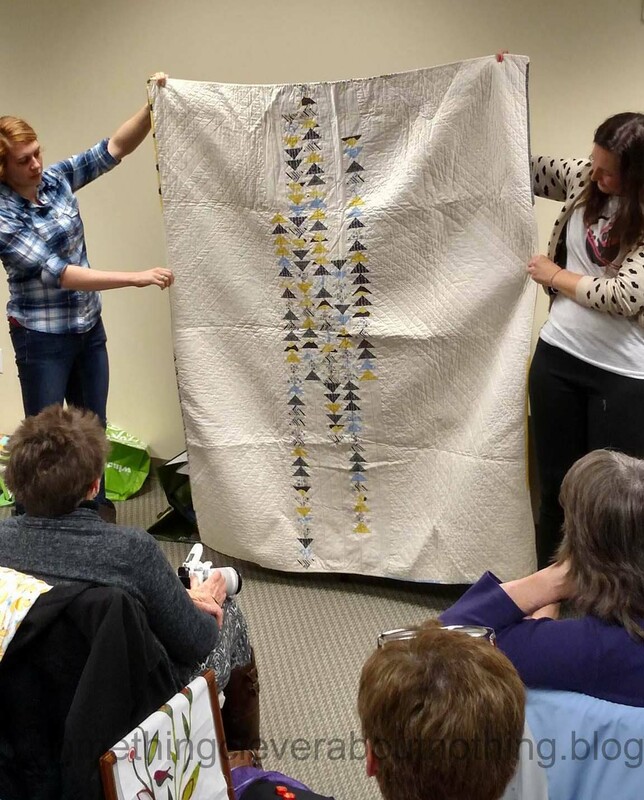 I really love her use of negative space and how the flying geese lead the eye up and down the quilt. Sarah Watts-Justice had several beautiful quilts. She reminds me of another quilter I know and love. 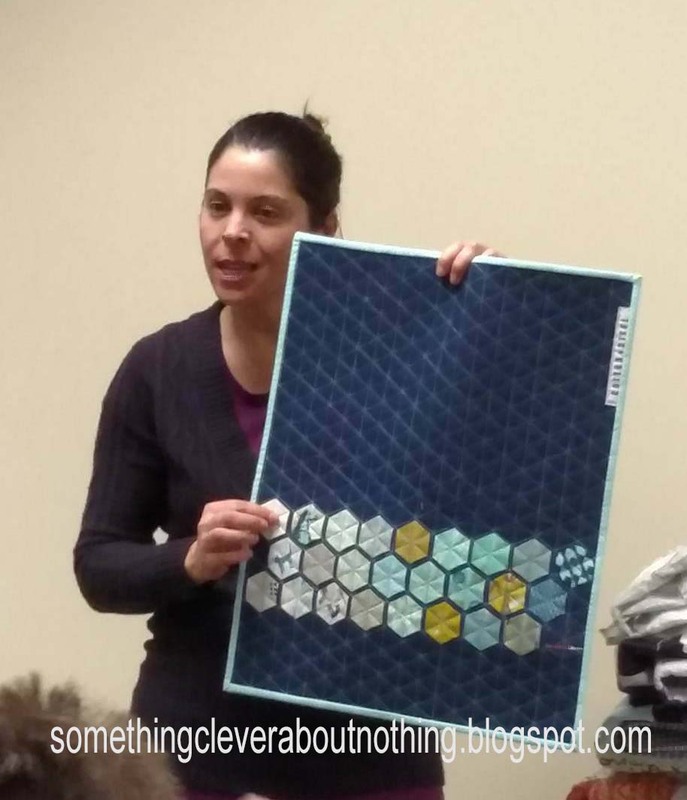 Both of them are very mathematical and exacting in their methods and both create amazing quilts! 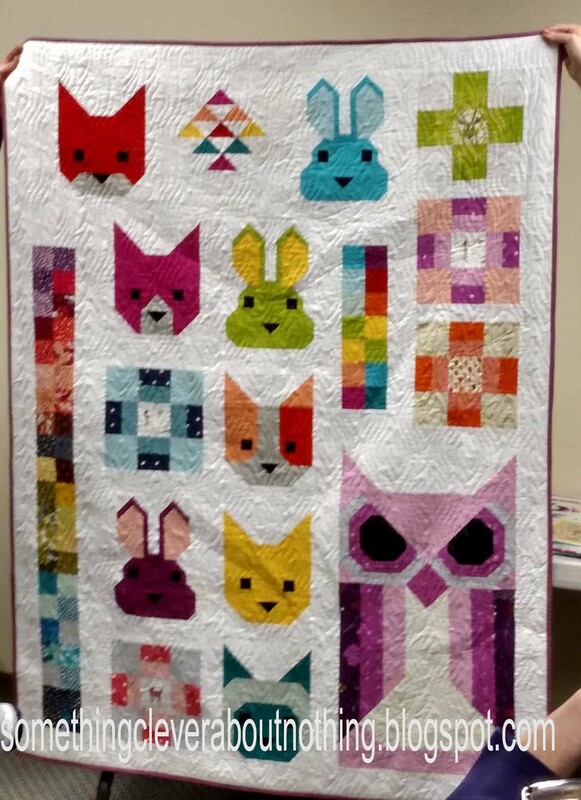 I just love the whimsy of this quilt created by Sarah Watts-Justice. She told us she made rabbits until she got tired of rabbits, then made cats until she was sick of making those, and she did not want to make more than the one owl. I had to laugh because that is exactly like me! I get tired of making the same thing over and over so quickly! Once were blocks were created she used her clever math skills to add additional pieces and put it all together in this wonderful layout. 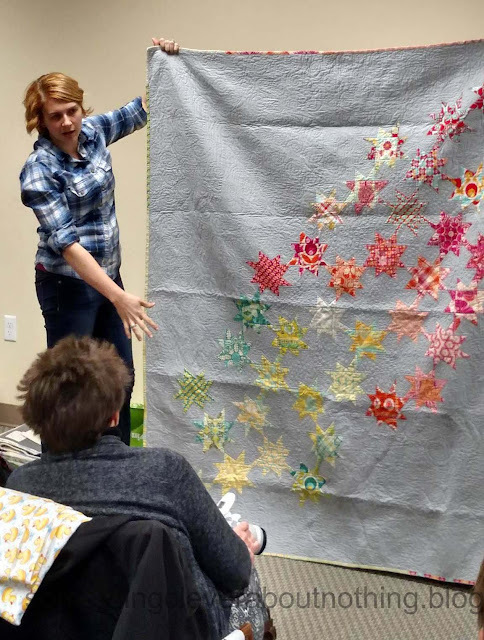 Sarah Oviatt's beautiful star quilt is just gorgeous. I really like the way these stars stand out against the grey. Marci Elmer sent a number of gorgeous quilts to be shown. I think this one way is my favorite of hers. 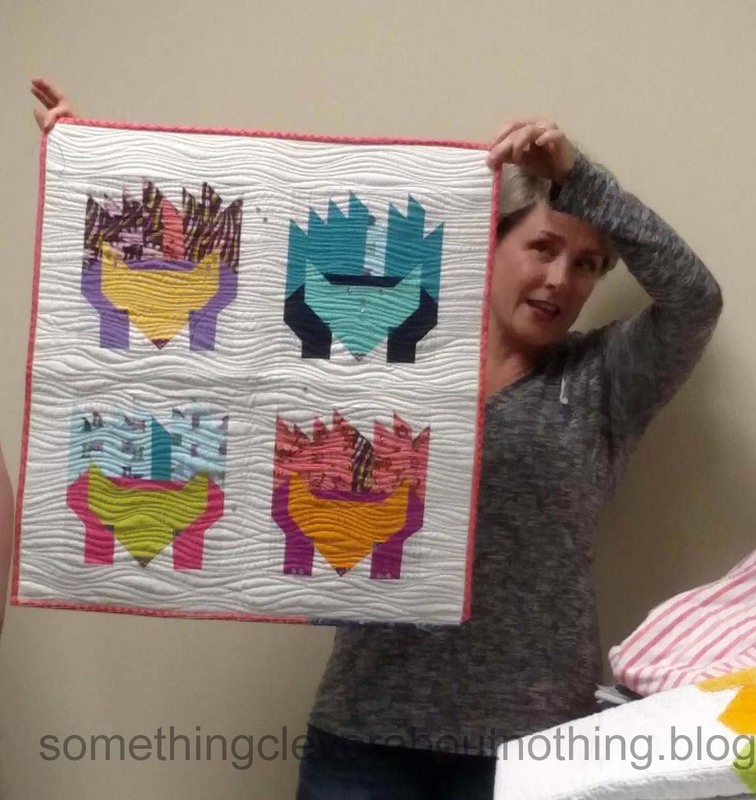 Jamie Penrod created this adorable hedgehog quilt. Apparently all the quills were suppose to go the same direction but I really like the creative license she took with the pattern. This is one of the beautiful quilts JeNean Frandsen made. I love how each of the patterned fabrics seem to be framed in this design. 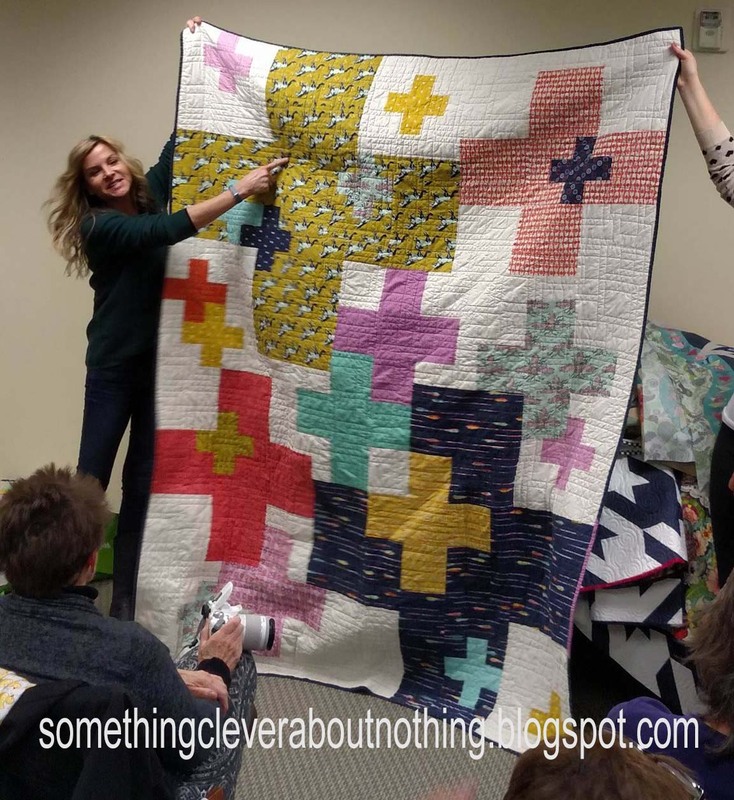 I absolutely loved Shannon Frei Lowe's cross quilt. 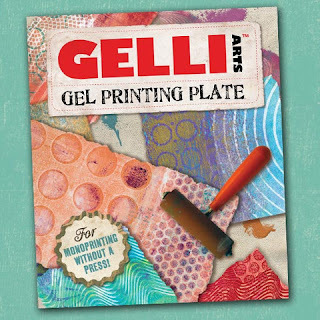 It is a fantastic design and wonderful colors that really work well together! I was greatly inspired by all of the quilts. Now it's time to get to work and do something!